Juggling is FUN and a great hobby for many reasons. It’s good for your mind—juggling helps to sharpen focus and concentration, as well as improving hand-eye coordination. It’s good for your body—juggling helps to improve athletic abilities; it increases the range of motion in your arms and shoulders, and is a very good workout. It’s good for building community and friendships— in addition to building self-confidence and self-discipline, juggling is a creative way to connect with friends and family while sharpening social skills. Pass juggling requires lots of teamwork, creativity and collaboration. Juggling is portable—you can do it anywhere, as long as you have something to juggle. Just ask JUGHEADS founder Paul Arneberg, who has taken juggling with him whether traveling around town or around the world. 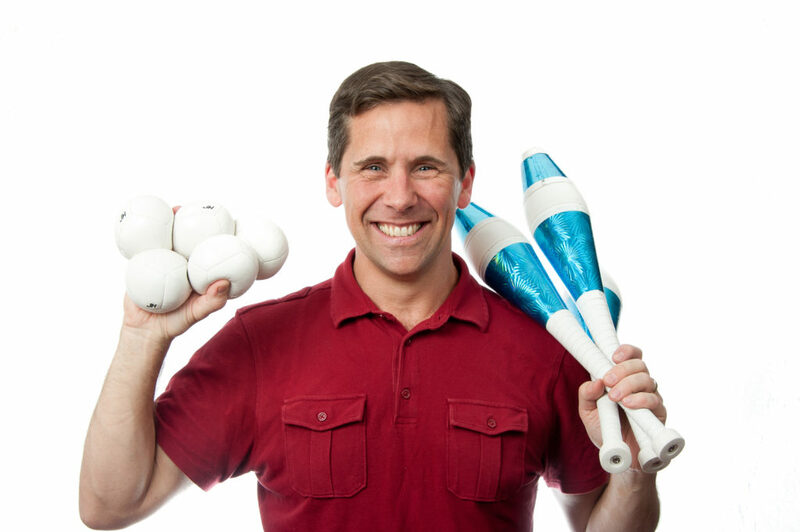 Paul Arneberg is the founder and director of JUGHEADS Youth Juggling Company, an LLC based in Edina, MN. He began teaching his collegiate hobby to 9-12 year olds in 1994, while he managed a year-round older childcare program. By 1999, the hobby turned into a full-time career as the small band of jugglers grew to 50 members and five distinct Clubs. Five years later, Wendy Arneberg left her corporate job in graphic design to help her husband run the company—by then 120 members strong and expanding to include all high school grades. 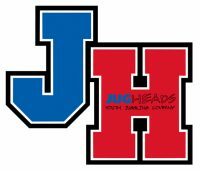 JUGHEADS has enjoyed success in numerous competitions, awards, long-term relationships, and changed lives. Paul affectionately refers to his company as a “tentmaker youth ministry” as he juggles the roles of athletic coach, variety show director, youth pastor, and business owner, all toward fulfilling his motto of developing youth through juggling. The art and sport of juggling is the means to the end of multi-tiered mentorship, teamwork, leadership development, and personal growth in goal-setting, character, and virtues. 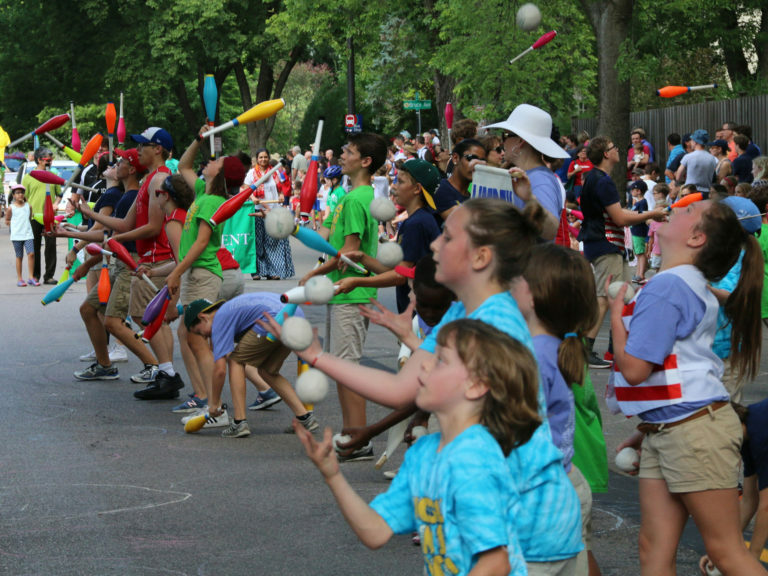 Ranging from 90–130 members, JUGHEADS is the largest youth juggling organization in the world! School Year Clubs are the core of the company, offering an opportunity for youth to learn unique skills that combine both athleticism and artistry. Clubs encourage individual and group achievement with unlimited potential for growth in dexterity, confidence, and friendships. All JH Clubs and Camps are directed by Paul Arneberg with help from 2-4 members of the Student Leadership Team along with coaches & specialists as needed. Since an average club size is 20-25 kids, this helps each Jughead receive more personal attention and instruction. Self direction is encouraged, as is juggling at home to make the most of juggling with many peers and instructors at once once a week! JUGHEADS currently offers four levels of juggling clubs that meet from 3pm-6pm throughout the week: Thursday Rec. Club, Friday Rec. Club, Advanced Club (Wednesdays), Elite Club (Tuesdays). The varsity-level Ultimate Club meets on Thursdays evenings from 6pm-9pm. As a lead-up to Juggle Jam, JUGHEADS commissions the Student Leadership Team to direct the Winter Showcase. 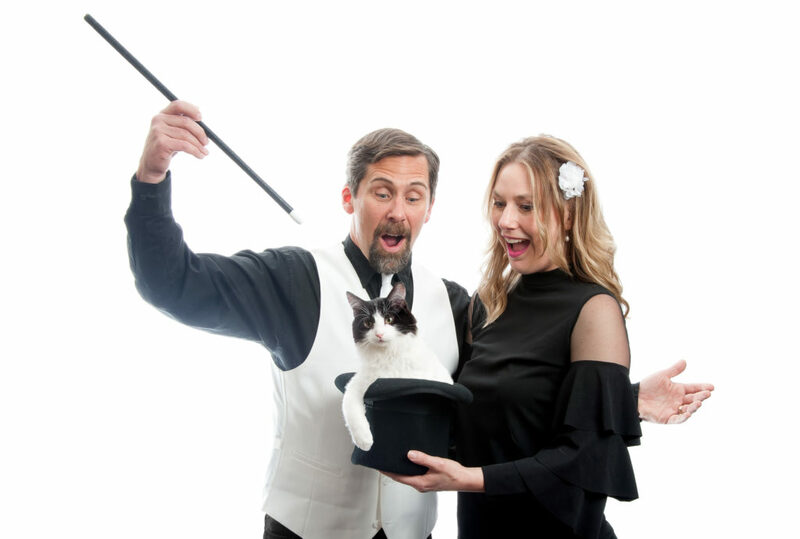 Through sponsorship from the Edina Youth Juggling Association, this free show is held on usually the third Saturday of March at Hopkins High School Little Theater. The show offers both valuable performance opportunity for our members and an entertaining show for the audience. Any polished solo, ensemble or emcee from any club is invited to perform. IJA Festival Trip (our advanced-level and above, week-long adventure to a new city every year to attend the International Jugglers’ Association Festival.